We consume rather a lot of soy sauce in our house. Perhaps it’s down to the Chinese Malaysian ancestry. Ever since I was little, I’ve loved the stuff and I could probably survive on a diet of boiled white rice smothered in soy sauce. Just the thought of it now is making me hungry. I usually buy huge bottles from the Chinese supermarket because we get through so much of it. So when Amoy asked if I’d like a complimentary bottle of their new ‘Special Selection’ soy sauce to try out, of course I had to say yes. It’s actually very good, and I’m not just saying that because I got it free. I fully intend to buy some when we finish this bottle, which won’t be long, and I’d certainly recommend it. According to Amoy, their Special Selection soy sauce is made from the finest extracts of soya beans and blended with sea salt to provide an intense and full-bodied flavour. They’re absolutely right about the full-bodied flavour – it’s deliciously deep and rich and very, very moreish. We’ve tried it with rice, noodles and stir-fried vegetables and the whole family has given it a thumbs up every time. 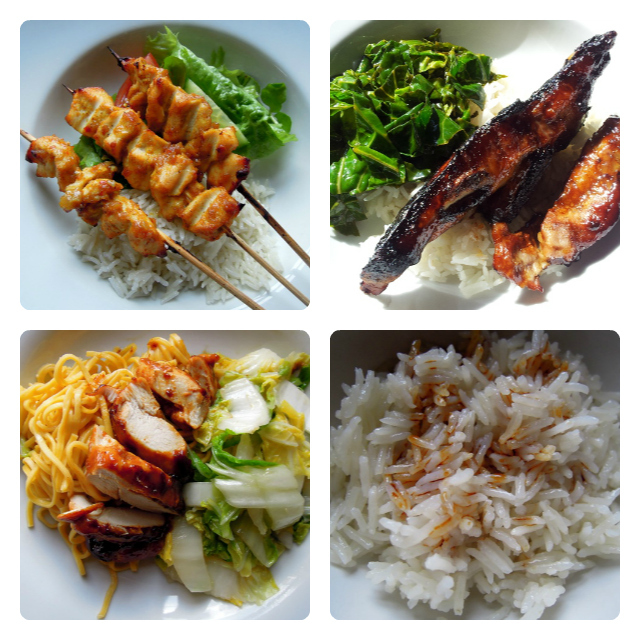 Amoy also sent me some of their Sticky Glaze sauces to try: peanut satay, Chinese barbecue and sweet soy. While I don’t normally buy packet sauces, I was quite impressed with these, although they were all a little on the sweet side. That’s probably why they were so popular with the children. The glazes are an extremely speedy marinade for meat, fish and vegetables, so they’d be quite a useful ingredient to have in the cupboard when you’re short of time and need something quick and easy for dinner. The children loved the peanut satay in particular, which we had with chicken, but they do usually love food of any description on a stick. It was supposed to have ‘a chilli twist’ but I couldn’t really detect any chilli in there. My favourite was the Chinese barbecue glaze, which I used on pork spare ribs. Sweet and sticky and finger-lickingly good, just as good ribs should be. I can see myself buying that one again in future. I wasn’t so taken with the sweet soy glaze though – I much prefer my own version I made at Chinese new year! 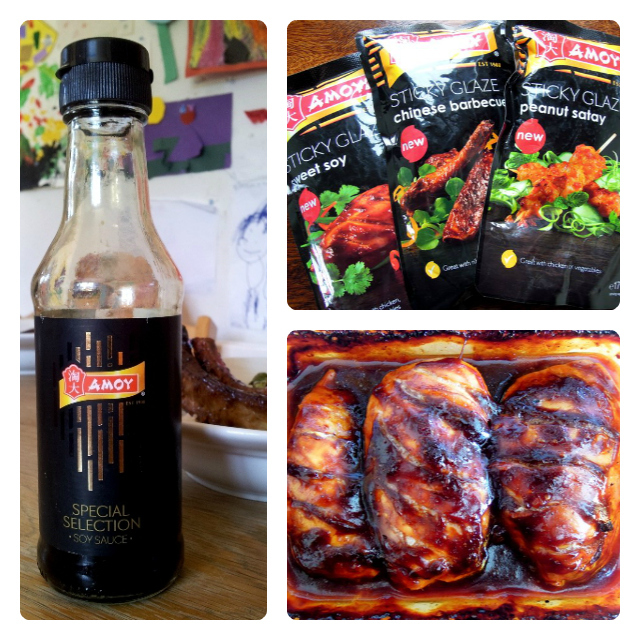 Disclosure: Amoy sent me a complimentary bottle of their new Special Selection Soy Sauce and the three Sticky Glazes for review purposes. No money exchanged hands.